With its rich heritage and culture, not to mention its effortless natural beauty, Asia has long been hailed as the world’s most exotic, far-flung and bewitching destination — providing unique and authentic experiences which are guaranteed to stay with you for a lifetime. Across the length and breadth of this vast continent, visitors will discover a handful of the world’s most esteemed countries and destinations — from Vietnam and Malaysia, to Japan, China, Thailand and Indonesia — each possessing its own charm, heritage and limitless array of cultural highlights. And now, thanks to the boom in cruises to Asia, it’s possible to take in each of the destinations listed above as part of an unforgettable Asian cruise break. Sailing the fabled waterways of the Orient aboard a well-appointed ocean liner is the perfect way to explore the raft of scenic hotspots and stimulating activities available in Asia’s port destinations, giving you access to a range of unforgettable excursions and experiences whilst enjoying all the comforts of a cruise. To help you make the most of your time spent cruising the shores of Asia, we’ve put together a series of visitor guides packed with tips on what to see and do in the continent’s most popular port destinations. Labelled 12 Hours In, each guide offers practical advice on what you can feasibly fit into a daytrip or stopover in the destination in question — from exploring fascinating cultural attractions to dining in the finest of restaurants. Find out more about our 12 Hours in Asian visitor guides below. A global city of near-limitless proportions; Tokyo, the capital of Japan, is a destination you must visit at least once in your lifetime. With a population of 13.3 million, and one of the world’s most dazzling skylines, this bustling, ultramodern city is impossible to condense into a single visitor guide — but we’ve tried our best. With recommendations on what to see and do during a quick-trip to Tokyo, as well as a list of places to eat, you’ll be well placed to make the most of your time in this enigmatic capital city. Click here to read the complete visitor’s guide to Tokyo. If China comes top on your cruise wish list, one of the destinations you’re almost certain to visit during your trip is Hong Kong. With its evocative depth of history and neon-lit skyline, Hong Kong offers a glimpse of the charm of old China whilst exposing you to the hustle and bustle of an ultra-modern city — perfect for those seeking an authentic experience of this unique country. Does a visit to Hong Kong sound a little daunting? 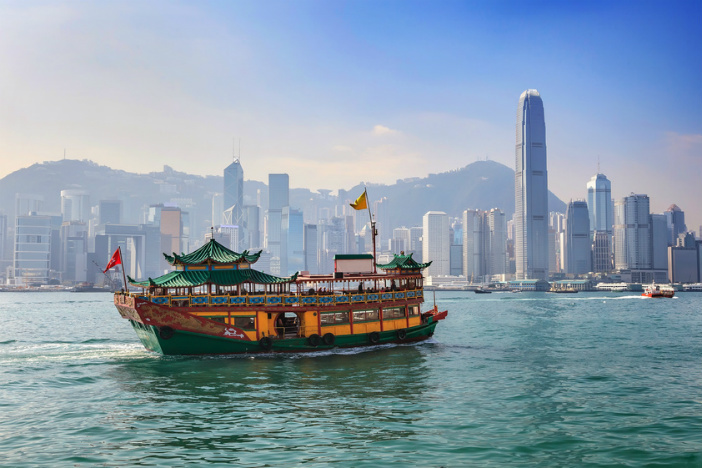 If so, our Hong Kong city guide offers advice on how to make the most of your time in this extraordinary Chinese metropolis. Click here to read the complete visitor’s guide to Hong Kong. Despite housing 7,600 people per square kilometre, Singapore is often cited as the world’s cleanest and most beautiful destination — welcoming millions of visitors each year. While this unique city-state is often thought of as a stepping stone en-route to destinations further afield, Singapore is home to a raft of enriching cultural sights and attractions which promise an exciting stopover during a wider cruise in Southeast Asia. Click here to find the complete visitor’s guide to Singapore. For those travelling to Indonesia as part of a Southeast Asian cruise, the paradise isle of Bali affords utopian beaches and no end of opportunities to relax amid truly stunning surroundings. But it’s not all lazing around. Bali is home to innumerable historic sites of profound spiritual importance to the local people, including royal palaces, ancient stilted pagodas, and time-forgotten temples buried deep within the lush countryside. Click here to find the complete visitor’s guide to Bali. China’s capital city, Beijing, may sound an unlikely stop-off during an Asian cruise (being in-land and all) but thanks to the popularity of cruising in the country, most major cruise lines offer transfers to and from the capital — allowing you the ideal opportunity to explore this mesmerising city at your own pace. Click here to find the complete visitor’s guide to Beijing. Hanoi, the historic capital city of Vietnam, is as colourful and vibrant as any capital city could hope to be — with endless things to see and do within the limits of the old city. From ancient temples to tumbledown markets, a visit to Hanoi offers boundless authentic experiences, so it’s the perfect place to gain true insight into the spirit of Vietnam. Click here to find the complete visitor’s guide to Hanoi. Given its position as the world’s most progressive and altogether dizzying metropolis, Shanghai could prove overwhelming for those not used to negotiating a city of some twenty million people. With help from our Shanghai city guide however, you can decide how to better spend your time during a cruise stopover in this enigmatic Chinese city. Click here to find the complete visitor’s guide to Shanghai. Thanks to its stunning beaches, amazing visitor attractions and unhurried pace of life; Thailand is fast becoming the go-to destination in Southeast Asia, and at the centre of it all lies Bangkok, the country’s extraordinary capital. Click here to find the complete visitor’s guide to Bangkok. At Cruise1st Australia, we provide hundreds of affordable cruises to Asia, helping you explore this wonderful continent on a budget that suits you. To find out more, or to browse our complete range of Asian cruises, visit the homepage or call us on 1300 857 345.